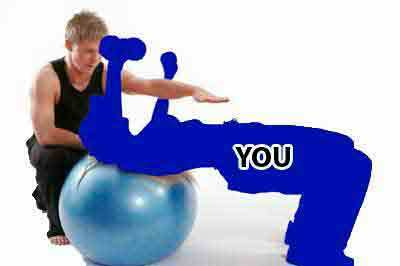 Finding Your Niche as a Fitness Instructor: Become a Successful Trainer! Becoming a fitness instructor can be a potentially rewarding career choice in a number of different ways but there are plenty of different ways of showing people how to meet their goals, which is why it pays to find your niche. Here is a look at why the scattergun approach to filling your appointment diary doesn’t always work, plus tips on how to find your niche with an overview of certification options. You can trace the certification process for fitness trainers back to the 1980’s but it would be fair to see that the standards required of someone entering the industry at that time don’t bear much resemblance to the qualifications and degree of professionalism you now need in order to earn a living as a fitness instructor. It is now commonplace for fitness professionals to have health and science backgrounds and be educated to degree standard, so the bar of competence has definitely been raised in more recent times. These higher levels of professionalism create a competitive environment and are a good reason for looking at ways of playing to your strengths and focusing on a specialization that you know you can excel at. Getting started as a fitness professional instructor involves ticking a number of boxes on an industry-specific checklist such as achieving certification and finding affordable fitness instructor insurance to ensure you and your clients are adequately protected, but fitness specialization is about going beyond the basic terms of the job description. Learning to specialize is mainly about building on your existing foundations of experience and knowledge and continuing your own educational journey so that you become known for your excellence in a specific area of fitness and nutrition and develop a reputation as the go-to person in your area based on your niche offerings and attributes. This means that if you are particularly focused on helping to improve athletic performance or weight management and lifestyle, these are the sort of areas of specialism where you can gain the certification that reflects those niches and concentrate on finding clients who looking for guidance in these areas. Rather than trying to build your client base by offering general fitness instruction services, which can make it hard to stand out with this scattergun approach, there is every chance you could build a successful career as a fitness instructor if you pick a specialization. Finding your niche in the fitness industry makes it easier to advertise your talents and there are a couple of ways of choosing a path to follow. Sometimes it can be glaringly obvious what your niche is and what you should focus on, if you find most of your clients come to you for help with regaining fitness after a sports injury, for example, that tells you what you are already perceived to be good at. If your trainer focus is not so obvious, it might be a case of trying a variety of different approaches, such as offering one-to-one or group training sessions, to see what you enjoy doing the most and what you seem to excel at. It is then a case of gaining the certification you need in this field and then finding ways to raise the bar of competence as your business evolves by gaining more qualifications as well as experience. It can often be the case that you will be able to command a higher hourly rate when you have a specialism as clients will understand that there is a premium to pay for more targeted and specialist advice and help. If you have decided to become a fitness instructor you will already have achieved a certain level of competence and knowledge but it is always worth remembering that health and fitness guidelines are often being updated and you need to ensure that you keep up to date with these changes. 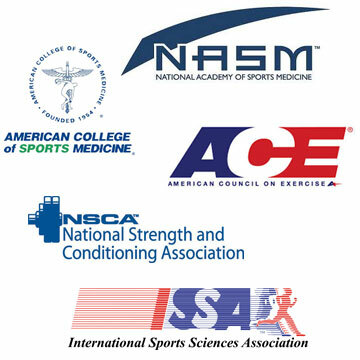 Aim to continue your education where you can and look at keeping up to speed with developments that affect the fitness industry by joining trade associations or bodies so that you can be alerted to changes that could either affect the advice you give out or present you with an opportunity to further develop your niche. Helping others to meet their fitness goals can be a rewarding experience and if you can focus on a specialization that can help you to achieve your own goal of developing a successful career as an instructor.